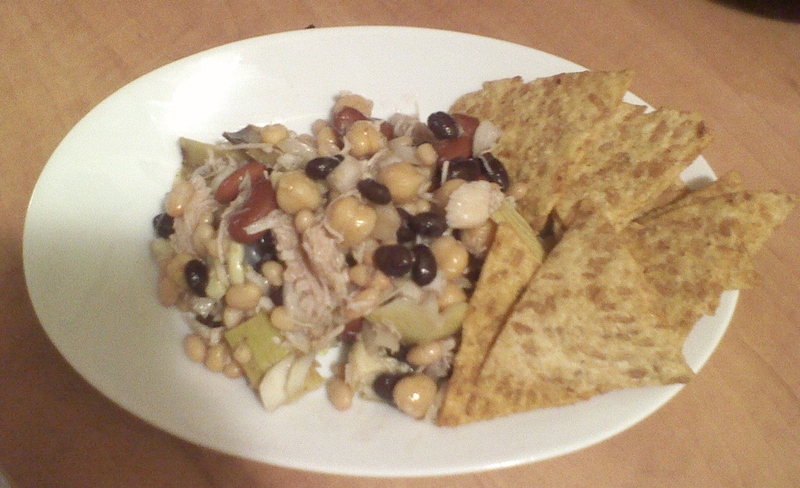 Shredded chicken, onion, and artichokes with garbonzo, black, small white, and kidney beans. Add some riceworks chips. You can make this a meatless meal too. So if you’re on the run and need a fast meal or if you want to have something for an appeitzer this is the dish for you. Full of fiber and flavor. Do you have a 5 minute meal thats a favorite? ?